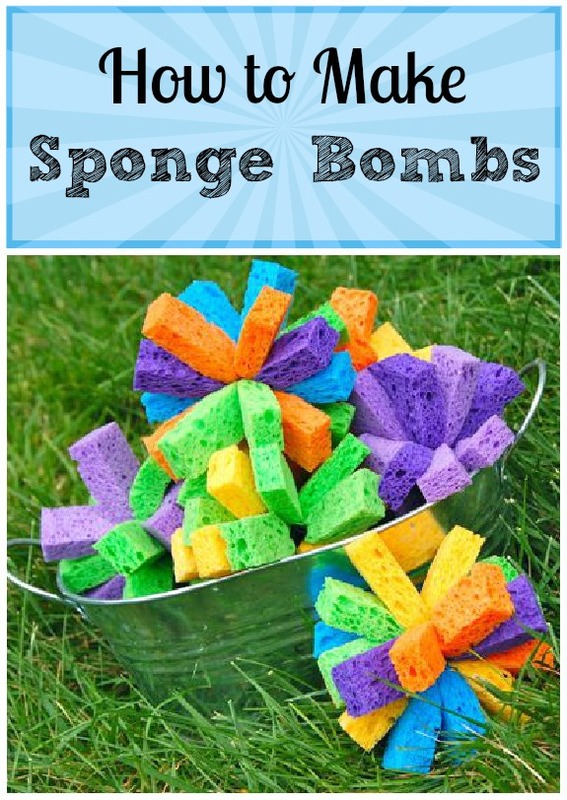 For a FUN time, here’s how to make sponge bombs! Begin by cutting up ordinary household sponges into thirds, and wrapping an “ouchless” hair elastic around them…. 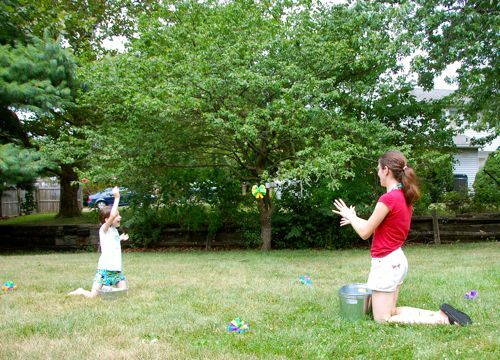 Grab a friend and a couple of buckets — each person kneels in front of a bucket filled to the top with water. 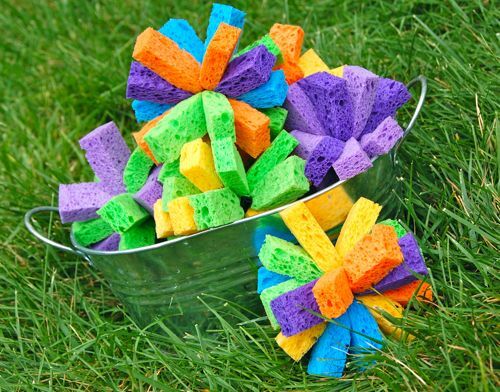 The object of the game is to hurl the sponge bombs into each other’s buckets! You WILL get wet!!! 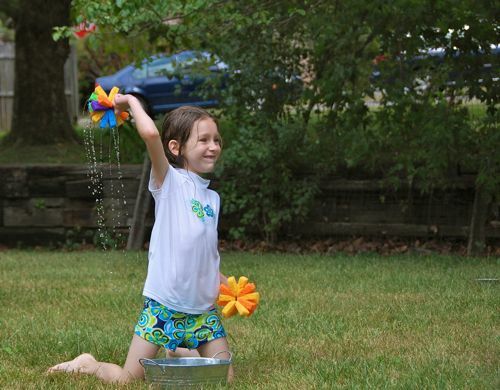 Whoever gets the most in the other person’s bucket WINS!! Gather up all the sponge bombs and play again (and again)! Mark and Clara joined in the fun too, but the camera would have gotten too wet, so you’ll have to take my word for it! !